Thank you so much Kim for inviting me to share my favorite room....I am so flattered that you chose me and it really is such an honor!!!!! 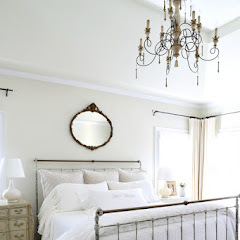 Today I would like to share my favorite room with you which was such a hard decision because I really love our master bedroom........... but in the end I chose our living room. 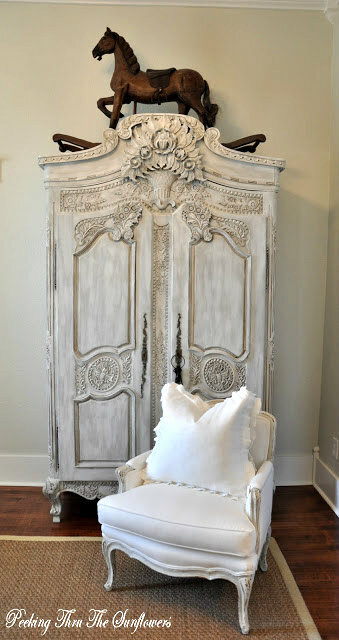 The French armoire and little table behind the settee were both Craig's List finds that have been transformed with paint. I have been collecting white ironstone for twenty years....most pieces were only a few dollars a piece. This French chair was also a Craig's List find. Originally it was painted a bright gold but with a little paint and a little distressing it now looks like this! I have been collecting canes for many years. They are so much fun to hunt for when out junking and shopping at antique stores! 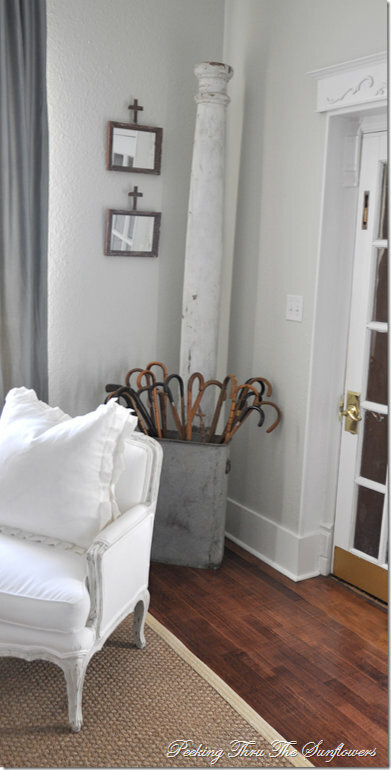 This French Vasselier is my favorite piece in the living room…..
Our front door was originally a window since this was once the side of the building. Although the door is not original to the house it is quite beautiful and has a stunning etched glass window. It even has a little brass hand crank door bell! Thanks so much Kim for letting me share my favorite room! I hope you will stop by Peeking Thru The Sunflowers and say,”Hi”. Your space is one of my favorites hands down! Always give me something to inspire to. so beautiful! 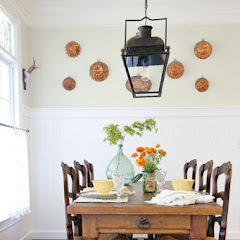 I love the mix of gorgeous antiques, collections and transformed craig's list finds. Stunning. Wow, I can see why this is your favorite room. 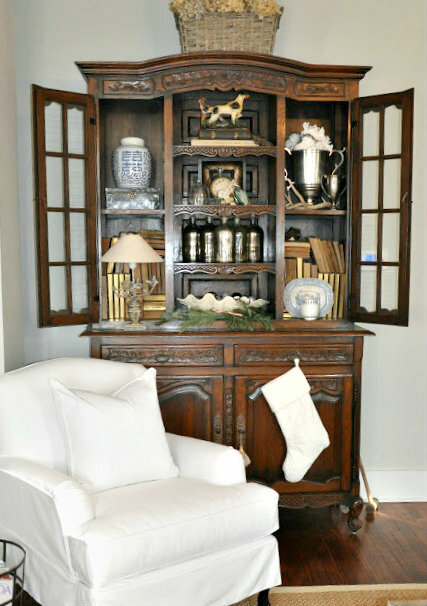 I can't get over the hutch and the settee...what awesome transformations. Your home is beautiful and I never get tired of seeing it. You have such a beautiful style. 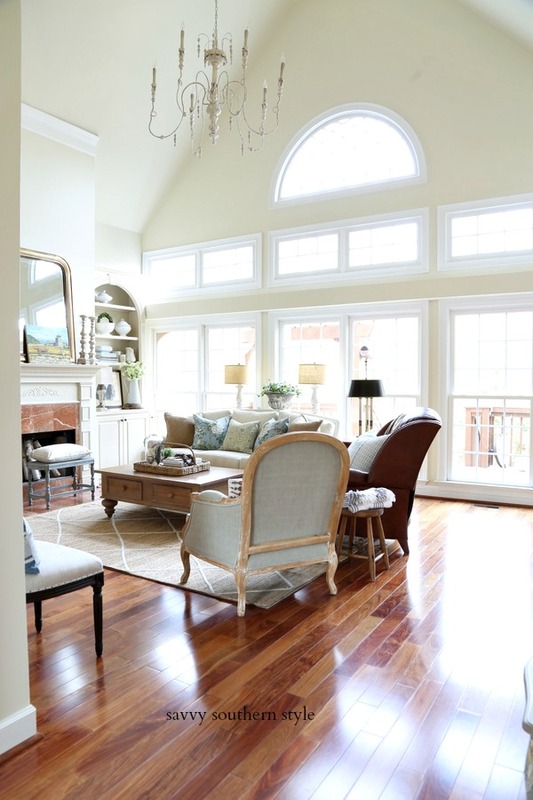 I just love her home and this living room, although all her rooms ( especially the master) are just beautiful! What an absolutely beautiful room filled with character! 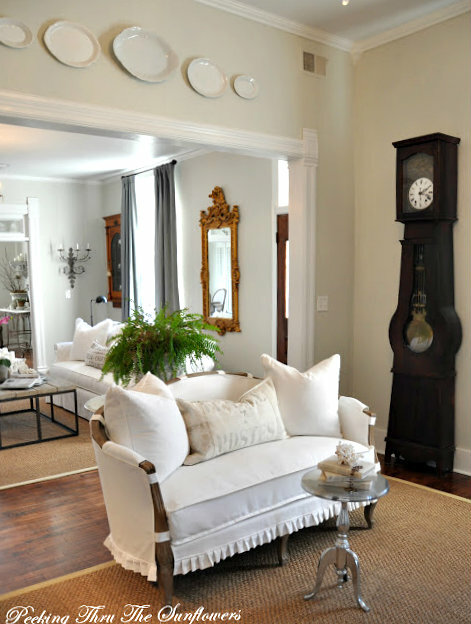 I am in love with the clock and the door and the simple decor. Great decorating ideas here Kim, I love the door and the hats piled above. Here collection of canes is so neat and beautiful clock too! Des, your home is STUNNING!!! Knowing the history makes it even more interesting. 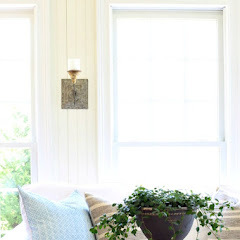 I adore your beautiful style and choices in making your home so inviting. How luvly... A beautiful room that evokes such charm and peace. Now I have to hop over to that blog and peek at the rest of that luvly home. Thanks so much for sharing Kim. Thank you Des for letting up have a peek. 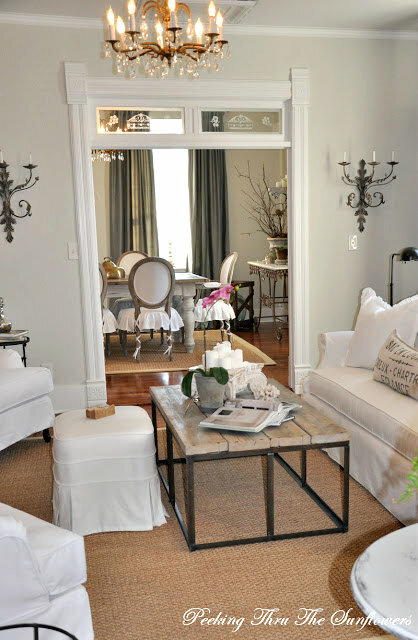 What a fabulous home and what warm and cozy yet so chic furnishings! Thanks for sharing, I really enjoyed this. Yes. Des's home is one of my very favorites. Always a treat to see Des' house! 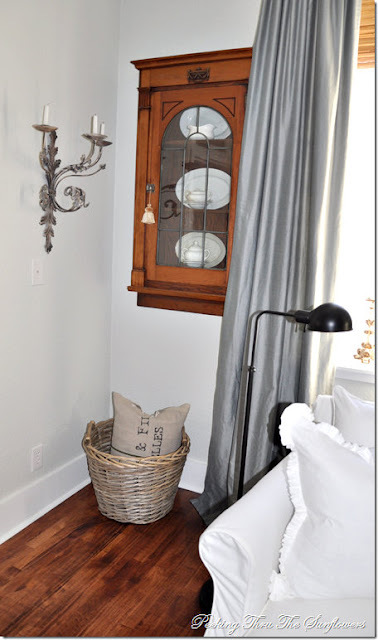 I just love Des's style and really enjoyed learning the history behind her historic home. I learned some new things about it today! 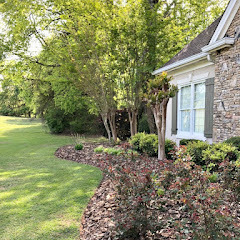 Thanks for sharing her amazing home today. 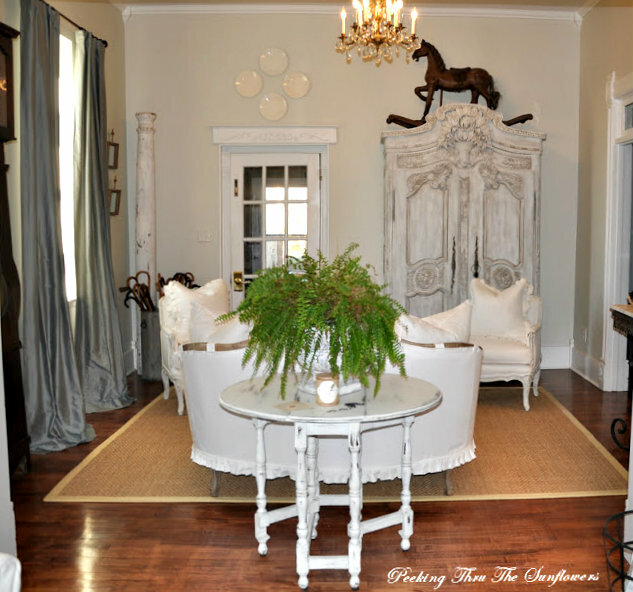 Such a beautiful room with so many wonderful antiques...each piece so lovingly selected to create a very special space!...I also loved seeing a "peek" of her dining room!..Des' your home is beautiful and just love the history of it...thanks Kim for presenting Des' favorite room!! Oh Kim I love everything about Des's home!! Awesome tour! I just love Des's room. She has some awesome French pieces and it's so serene and inviting. Gorgeous room. Now I am going to pop over to your blog to see if your bedroom is posted. Thanks Kim, for introducing me to Des. Her home is just beautiful! So charming! Thanks for sharing. Her home is adorable...thanks for sharing. Des~ what a beautiful and refined room. It's the perfect mix of french chic and farmhouse! I love your attention to detail!!! Thanks Kim for hosting my favorite series! This is so beautiful and I can't stop staring at the french armoire. I think I'm in love! Just a beautiful space. I'm coming for that clock. Don't tell. 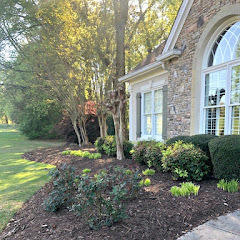 Thank you for sharing your beautiful home. It is so relaxing to get a cup of coffee and take a look. What a gorgeous room. She's transformed so many beautiful treasures. gorgeous!!!! just gorgeous!! and you know i love the old ones!! Oh Kim I love everything about Des's home!! Stunning! I love how edited it is allowing all the special pieces to make a statement. Wonderful job creating such a unique room! Whoa...gorgeous! And those hats above the doorway...love that whimsical touch! What a beautiful room! It is so peaceful and serene. Thank you so much for sharing this, Kim! I hope you are having a fabulous weekend! Happy New Year!